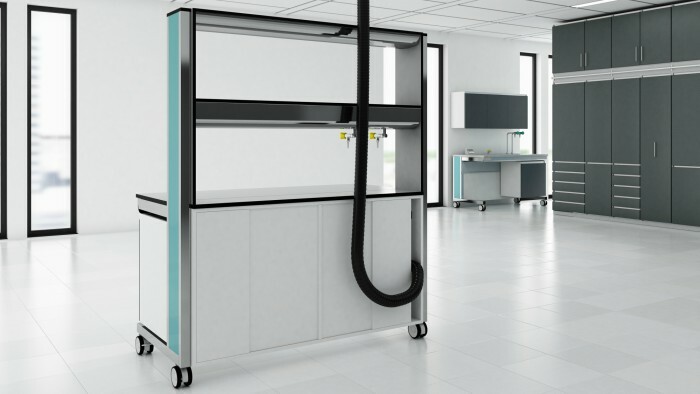 Following the introduction of the new Elevaire overhead lab services delivery system, we are proud to introduce the new Mobilaire movable laboratory workstation range. Along with Elevaire, Mobilaire has been in development for three years. 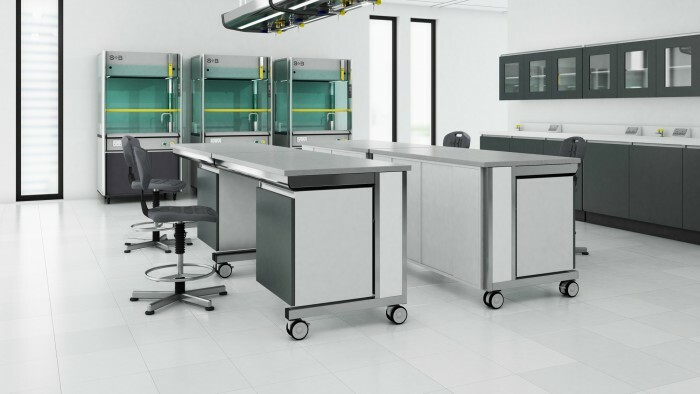 The increased demand for service delivery methods which easily facilitate the complete stripping out and change of use of laboratory buildings and the requirement to quickly and easily re configure benching arrangements within a lab has led to the investment and development of these two new specialist lab systems. 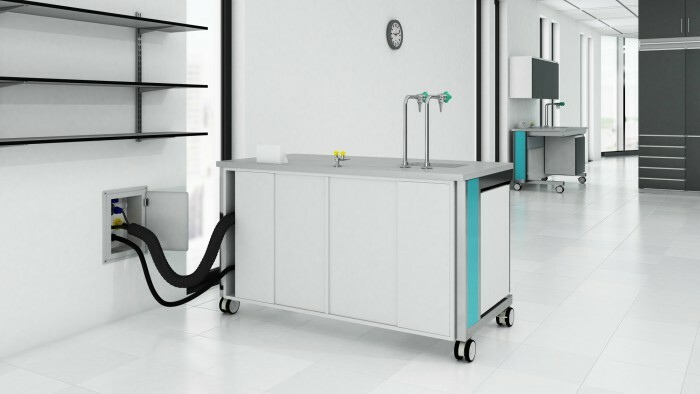 Mobilaire is a range of moveable serviced and unserviced laboratory workstations. Services can be pre plumbed and wired integrally to each bench module or into bench mounted overhead service bridges. Connection and disconnection of services is facilitated by the use of quick release, self closing valves. Services can be connected at low level, to the benchtop or at higher level into service bridges. These two new systems provide for complete change of use and or quick change of layout to satisfy new and evolving demands. Download a PDF format brochure from the Mobilaire page or contact us for a hard copy and a complete literature pack showing all our lab furniture designs and our fume cupboard range.